Félix Houphouet-Boigny was born near Yamoussoukro, the southern part of the Ivory Coast, on October 18, 1905. His father was a Boulé tribal chief and a wealthy cocoa farmer. At five years old Houphouet-Boigny inherited his father’s chief status and his cocoa plantation. He studied at primary and secondary school in his village and graduated as a medical assistant in Dakar, Senegal. From 1925 to 1940, Houphouet-Boigny worked in medicine throughout the Ivory Coast. By 1944, his family’s plantation was prosperous and he rose into political prominence by organizing the Syndicat Agricole Africain (SAA), a union that defended farm workers and planters’ interests. In 1945, he was elected as the Ivory Coast’s deputy to the French Constituent Assembly. Using his political successes with SAA, Houphouet-Boigny started the Ivory Coast’s first independent political party, Parti Démocratique de la Côte d’Ivoire (PDCI). The PDCI became part of a larger network of French-speaking West African political parties, known as the Rassemblement Démoctratique Africain (RDA). When the Communist party attempted to join the RDA, Houphouet-Boigny broke away and in 1950 became a supporter of continued French political control in the Ivory Coast. With his new political stance, he moved quickly through the French administrative hierarchy. Between 1956 and 1959, he served as the assistant to France’s prime minister, the minister of health, and finally the minister of state in three French cabinets. During these years, he continued to push for improvements in French West Africa. When the Ivory Coast gained its independence in 1960, Felix Houphouet-Boigny was elected president. Throughout his presidency, he aligned himself with France and the Western world as the best means to economic development. He denounced Communist influence in Africa and soon became known as one of the most conservative political leaders on the continent. Houphouet-Boigny led a one-party state for thirty years, with the PDCI acting as the only political party of his regime. In 1990, in response to international pressure to increase the nation’s economic growth, Houphouet-Boigny finally allowed a multi-party system. From his first election into presidency in 1960 to the 1980s the Ivory Coast experienced much economic gain. When the economy declined in the 1980s Houphouet-Boigny slowly introduced changes to gain back the Ivory Coast’s economic standing. This included adding over 100 municipal governments and encouraging multi-party politics. Before his death, Houphouet-Boigny designated the speaker of the assembly as his successor. 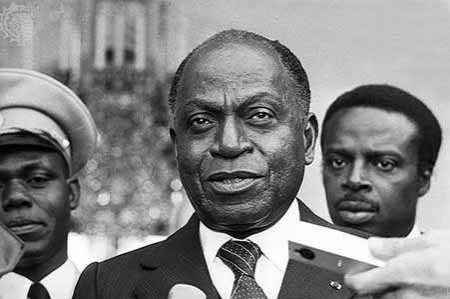 On December 7, 1993, Félix Houphouet-Boigny died in Yamoussoukro, his city of birth and the capital of the Ivory Coast. Kevin Shillington, ed., Encyclopedia of African History (New York: Fitzroy Dearborn, 2005); Thomas Patrick Melady, Profiles of African Leaders (New York: The Macmillan Company, 1961).